Wow, what an exciting day I had today. 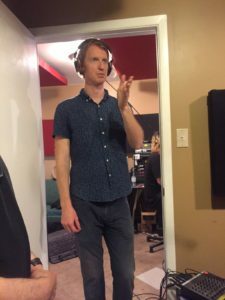 I had the pleasure of singing some vocals on a few tracks for an upcoming album from Richard Reed Parry (Arcade Fire, Bell Orchestre), an old pal who is more like a cousin to me than anything else. Our dads sang and played together in The Friends of Fiddler’s Green, an iconic institution of Canadian Folk Music. 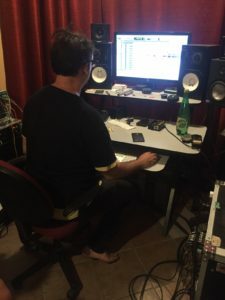 Mike Dubue (Hilotrons, Little Scream) was at the controls for sound engineering and The Friends were the booming wall of harmonic chorus… I was a happy ringer. While you’re wondering about who are the FoFG, check out this recent CBC Radio episode of the Vinyl Cafe, when Stuart McLean talks about the kind of influence that they had on the Canadian Folk history.